Stenasellus javanicus, the first cave stenasellids from Java. Stenasellus javanicus Magniez & Rahmadi 2006, the first species of cave stensellids from cave in Java (Foto. C. Rahmadi). 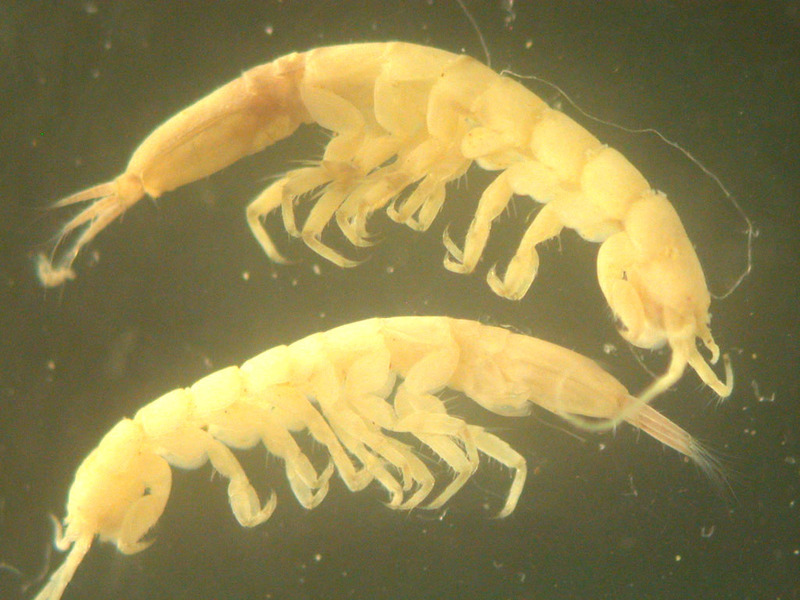 The species was firstly collected by me in the small puddle in small cave near limestone quarry in Cibinong Karst, about 30 km southern Jakarta. I collected only two specimens and maybe these specimens are only known from the type locality. Further survey in other caves in the same area, I failed to find another specimens. Images of Stenasellus javanicus was taken after the specimens preserved in the ethanol 96%, alive specimens have pinkish in color to reddish.